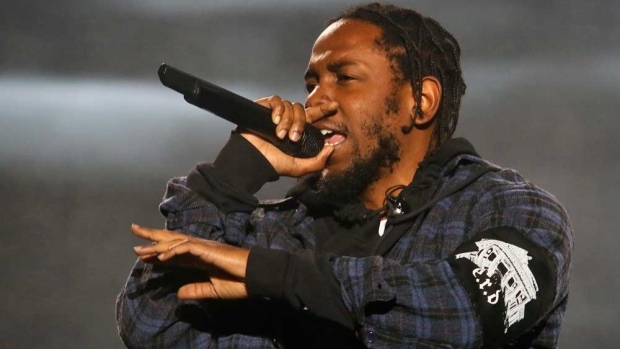 NEW YORK -- Kendrick Lamar won the Pulitzer Prize for music Monday, making history as the first non-classical or jazz artist to win the prestigious prize. The 30-year-old won the prize for "DAMN.," his raw and powerful Grammy-winning album. The Pulitzer board said Monday the album is "a virtuosic song collection unified by its vernacular authenticity and rhythmic dynamism that offers affecting vignettes capturing the complexity of modern African-American life." He will win $15,000. The Pulitzer board has awarded special honours to Bob Dylan, Duke Ellington, George Gershwin, Thelonious Monk, John Coltrane and Hank Williams, but a popular figure like Lamar has never won the prize for music. In 1997, Wynton Marsalis became the first jazz act to win the Pulitzer Prize for music. That makes Lamar's win that much more important: His platinum-selling major-label albums -- "good kid, m.A.A.d city," "To Pimp a Butterfly" and "DAMN." -- became works of art, with Lamar writing songs about blackness, street life, police brutality, perseverance, survival and self-worth. His piercing and sharp raps helped him become the voice of the generation, and easily ascend as the leader in hip-hop and cross over to audiences outside of rap, from rock to pop to jazz. He's also been a dominator on the charts, having achieved two dozen Top 40 hits, including a No. 1 success with "Humble," and he has even collaborated with the likes of U2, Taylor Swift, Imagine Dragons, Rihanna and Beyonce. Lamar's musical success helped him win 12 Grammy Awards, though all three of his major-label albums have lost in the top category -- album of the year. Each loss has been criticized by the music community, launching the conversation about how the Recording Academy might be out of touch. "DAMN." lost album of the year to Bruno Mars' "24K Magic" in January. Du Yun, who won the music Pulitzer last year for her opera "Angel's Bone," said she was thrilled about Lamar's win. "'To Pimp a Butterfly' got my blood pumping and the video for 'DNA.' 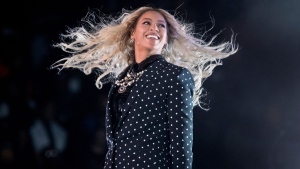 made me want to make the music I'm making now," she wrote in a statement. "Freedom of expression is the height of art, and Kendrick Lamar is the embodiment of that freedom."